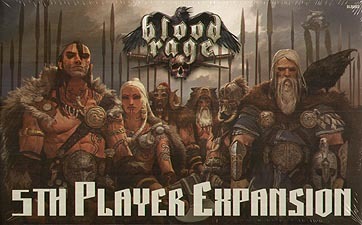 The 5th Player Expansion includes everything you need to play Blood Rage with up to 5 players at once. This includes not only the brand new Ram clan, but also extra Gods' Gifts cards to add to your decks so there are enough cards for all players. The Ram clan can also be used to replace one of the core game clans when playing with less than 5 players.